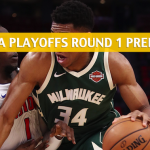 The Detroit Pistons were made to look like a G League team by the Milwaukee Bucks last Sunday, as Giannis Antetokounmpo and crew left the Pistons in a heap of smoking rubble. 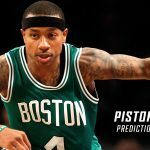 The Pistons are a proud team, and despite their struggles and personnel concerns, they should make the next game closer than the series opener. 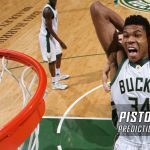 Going into the game, NBA futures price the Bucks with -115 odds to win the East, while the Pistons sit at the bottom of that Eastern pack with +25,000 odds. To say that the Pistons were crushed in Game 1 of their series against Milwaukee would be a severe understatement. The Pistons were steamrolled and burnt beyond recognition in that game, losing to Giannis Antetokounmpo and company to the tune of a 121-86 score. Even without Blake Griffin, it was a disastrous loss for Detroit, which simply had no answer for Milwaukee on either side of the floor. The Pistons shot 38.0 percent and barely got anything from the players they were expecting to show up. Andre Drummond got tossed out in the second half after just scoring 12 points with a ridiculous plus-minus of -45, which underlines everything you need to know about how disappointing it is for the Pistons for the big man to play the way he did. Griffin is reportedly likely to miss the entire first round due to a left knee. That’s a wake-up call for Drummond and Reggie Jackson to deliver the goods in Game 2. One Piston who shined in Game 1 was Luke Kennard who came off the bench and scored 21 points. Detroit head coach Dwane Casey could consider him as a starter in Game 2. The under is 4-0 in the Bucks’ last four games. In his first game back in almost a month, Bucks forward Nikola Mirotic scored four points in 15 minutes against the Pistons. Those are not eye-popping numbers, and Milwaukee head coach Mike Budenholzer said that Mirotic is just getting his legs back, but who needs the European star to get better ASAP, when his teammates are making it look like they don’t need much help. 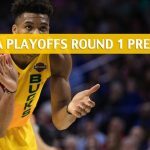 Antetokounmpo led his team with 24 points to go with 17 rebounds, while each of the other four Bucks starters had at least 11 points. 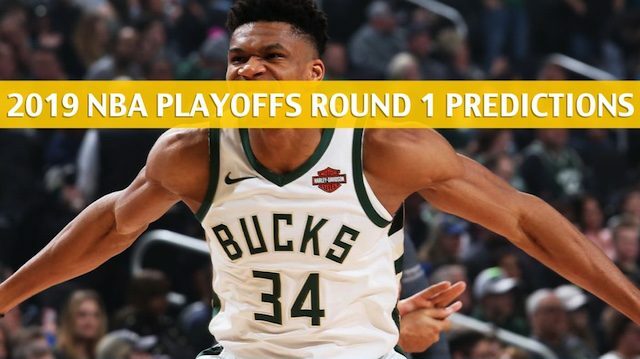 The Bucks are more focused, have better shooters, and own a deeper bench than Detroit, and with Pistons missing Griffin, the difference could be once again spelled clearly in Game 2. The Bucks shot 48.9 percent from the field in Game 1 and hit 15 3-pointers. They spread the floor well and have great slashers and post options. 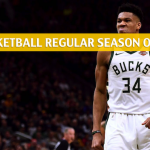 They frustrate their opponents with their efficiency, as evidenced by the flagrant foul Drummond committed on Antetokounmpo, which was likely a result of a feeling of helplessness in trying to contain Milwaukee’s offensive onslaught. 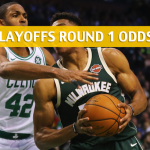 Milwaukee is 3-0 against the spread (ATS) in its last three games against the Pistons.